New CBD gummies pack a plethora of robust wellness benefits and are a perfect way to enjoy CBD on the go. CBD possesses the therapeutic benefits connected with THC without disorienting psychological elements. 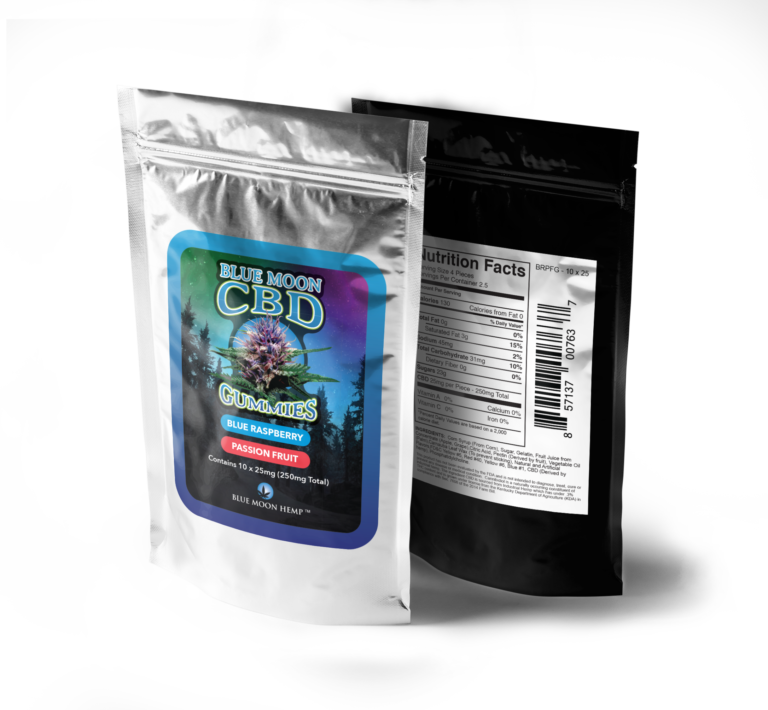 Melatonin CBD gummies pack a plethora of robust wellness benefits and can greatly help those who suffer from insomnia in addition to the CBD benefits. Blue Moon Hemp CBD gummies are available in 25mg 10 pcs per pack and we offer 15mg with Melatonin 10 pcs bag.